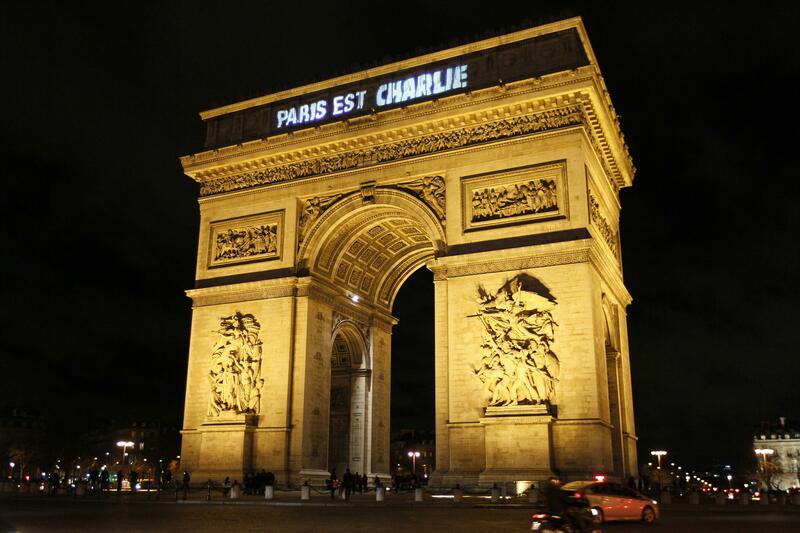 Charlie Hebdo running blog: Updates on the situation in France. 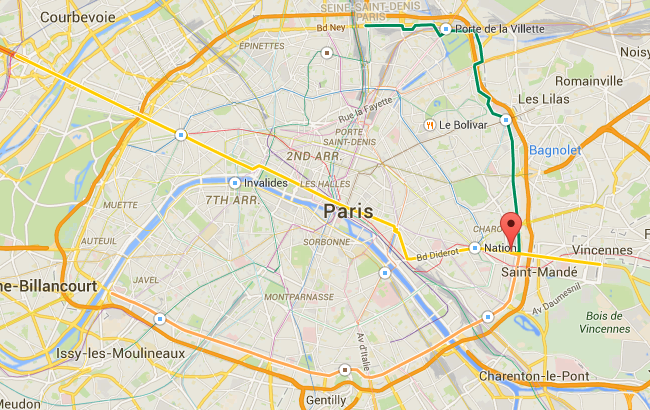 Update, 3 p.m.: France’s interior minister has confirmed that four hostages died at the Hyper Cacher in Paris today. Journalist: Wait, wait, Cherif, Cherif, did you kill this morning? Kouachi: But we are not killers. We are defenders of the prophet. We don’t kill women, we don’t kill anyone. We defend the prophet. If someone offend the prophet then there is no problem, we can kill him. But we don’t kill women. We’re not like you. You’re the ones killing the children of Muslims in Irak, in Syria, in Afghanistan. That’s you. Not us. We have honor codes in Islam. Journalist: But right now you avenged yourself, no? You killed people? Kouachi: We avenged ourselves exactly. You said it well. You said it yourself, we avenged ourselves. Update, 2:05 p.m.: French president François Hollande, in a televised address, said four people were killed at Hyper Cacher. It’s still not clear whether this means four hostages died or if “four people” refers to three hostages and Amedy Coulibaly. Another hostage situation has been reported at a jewerly store in the south of France, but a local source told the BBC that the incident does not appear to be related to the terrorism attacks in and near Paris. Update, 12:05 p.m.: At least three sources (Reuters, AFP, and France 24) are reporting that at least four hostages at the scene of the Hyper Cacher standoff have died. Update, 11:30 a.m.: Multiple outlets are reporting that the Kouachi brothers and Amedy Coulibaly are dead. The hostage the Kouachis were holding outside of Paris has reportedly been freed; the status of Coulibaly’s hostages is not yet known. Update, 11:15 a.m.: Explosions and gunshots have been reported at the site of the hostage situation in eastern Paris as well. Law enforcement personnel can be seen running toward the kosher grocery where Amedy Couilbaly was thought to be holding hostages. No information yet on casualties at either assault location. Update, 11:00 a.m.: Gunshots and explosions have been reported at the printing plant in Dammartin-en-Goële where the Kouachi brothers are believed to be holding at least one hostage. AFP and CNN are reporting that police at the site have launched an assault. Update, 10:40 a.m.: The Guardian has compiled some information on Amedy Coulibaly, believed to be the man who killed a police officer Thursday and who is holding hostages in eastern Paris. He’s 32, has a long criminal record that includes armed robbery and drug-dealing, and reportedly met Charlie Hebdo suspect Cherif Kouachi in prison. In 2010 Coulibaly was detained, and was then convicted on weapons charges, over a plot to break a convicted terrorist out of prison. (Cherif Kouachi was also detained but not charged in that investigation.) Coulibaly is reportedly the romantic partner of Hayat Boumeddiene, a 26-year-old woman who police are currently seeking. Coulibaly has reportedly told negotiators he’ll shoot hostages if the Kouachi brothers, who are also holding hostages outside the city, are attacked by police. Update, 10 a.m.: France 24 and the AP are reporting that police are ordering stores in the traditionally Jewish Paris neighborhood of Le Marais to close. The Marais is not near the Hyper Cacher (Hyper Cacher = Super Kosher, though the word is usually spelled casher) store in eastern Paris where hostages have been taken, but presumably authorities are worried about the possibility of more violence against Jewish businesses. 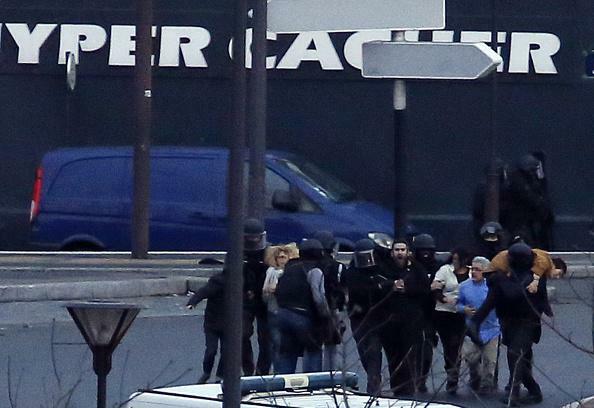 Update, 9:25 a.m.: France 24 television says officials are denying AFP’s report of deaths at the kosher grocery standoff. 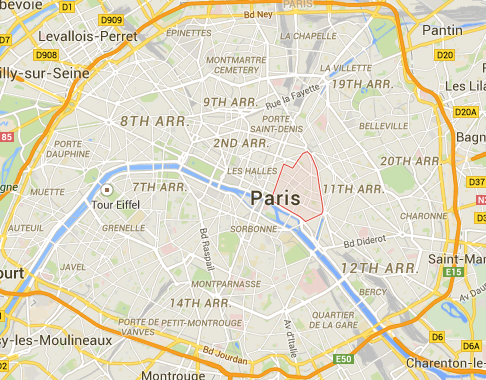 Update, 8:20 a.m.: AFP says at least two people have been killed in the eastern Paris shooting. Update, 8:15 a.m.: Agence France-Presse reports that the suspect in the eastern Paris kosher grocery shooting may be the same man who killed a police officer Thursday. The agency says “at least five” hostages have been taken at the scene. Update, 7:10 a.m.: The Kouachi brothers appear to have hijacked a car earlier today after the vehicle they were travelling in (itself stolen) ran out of gas. They fled to Dammartin-en-Goële after a shootout with police at a roadblock on the N2 highway. At some point they were pursued by police in what outlets are describing as a “car chase,” though it’s not clear whether authorities identified their vehicle before the shootout. Charles de Gaulles airport is said to have restricted operations to its southern runways. Law enforcement personnel have surrounded the Création Tendance Découverte printing plant where the suspects, Cherif and Said Kouachi, appear to be holed up. The Kouachis entered the building at approximately 8:30 a.m. local time after exchanging fire with police on the N2 motorway, reports indicate, and appear to have made at least some contact with hostage negotiators. 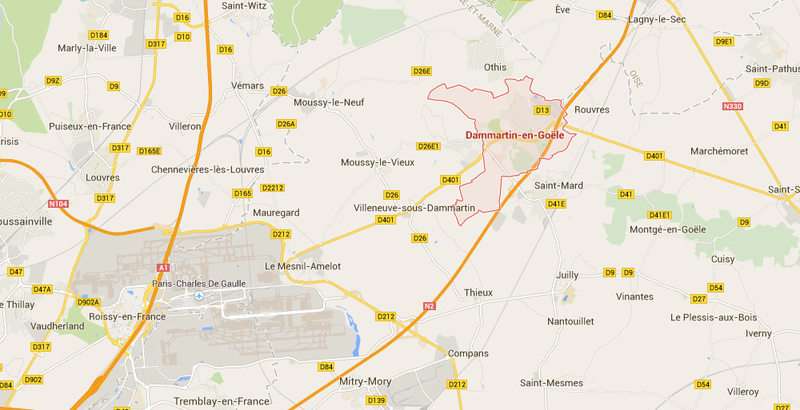 Correction, Jan. 9, 7:20 a.m.: This post originally misspelled Dammartin-en-Goële.